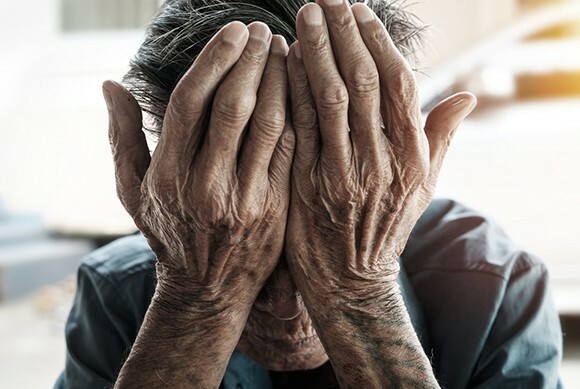 South Australia’s aged care peak body has called for a “considered response” to elder abuse after footage from a hidden camera in an Adelaide nursing home captured a staff member seemingly attempting to suffocate an 89-year-old man with end-stage dementia. The footage, which aired Monday night on the ABC’s 7.30, was taken by Noleen Hausler at the Mitcham Residential Care Facility in September 2015 after she reportedly became suspicious about her father Clarence’s bruises. The shocking video, which also shows the carer violently force-feeding Clarence Hausler, sneezing on him and hitting him on the head, has prompted calls to legalise the installation of cameras in the private rooms of aged care facilities. But Aged & Community Services SA & NT (ACS) has called for a considered approach in responding to the abuse, which they said was “very unusual”. The ACS said the criminal actions of the staff member were “indefensible” and the ACS condemned them. They cited the statistic that complaints about residential aged care had shown a drop of 5 per cent in the first three months of 2016 compared to 2015. ACS CEO Melissa Centofanti said the safety of residents was their number one priority. “ACS members have invested heavily in their recruitment and screening practices, and continue to develop their workforce and to ensure staff are professional, dedicated and passionate about the quality of the care they provide to 14,000 South Australians in residential facilities every day,” Centofanti said. 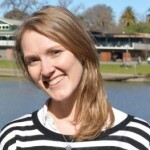 “South Australia is considered the national leader in service provision, innovation and quality. The standard of our members’ residential facilities is consistently high. ACS said calls for a registration scheme do not address the issues in this case and are likely to impose administrative burdens on service providers. The body is urging governments and MPs to work with industry to determine effective responses that will “not impact on the high-quality care and services provided to 14,000 South Australians every day”. SA Premier Jay Weatherill said on Tuesday authorities should “consider all options”, including surveillance monitoring, to ensure aged care residents were safe. “If there is some legislative permission the Commonwealth needs we’re certainly prepared to provide it,” Weatherill said. Meanwhile Japara, which owns the Mitcham Residential Care Facility, issued a statement on Monday night following the report on 7.30 saying they were “shocked, concerned and saddened to learn of the incident in September 2015” but the issues of permitting cameras was extremely complex. “This was a rogue act by someone who has now been criminally prosecuted,” the statement said. “This conduct is not tolerated by our organisation and is completely at odds with the care, dedication and commitment displayed by the over 4,500 nurses, carers and other staff across our homes every day. “We reiterate our sincere apologies to the resident and his family. As soon as we became aware of the incident, the individual was immediately suspended and we have assisted with the police investigation which has since led to a conviction. “The provision of high quality care to our residents is our absolute priority. When we purchased the business from Whelan Care, we took over all of their staff and we have subsequently increased overall staffing levels. “The issue of whether cameras should be permitted in residents’ private bedrooms and bathrooms is an extremely complex one, especially as many residents are toileted, changed and showered in these areas. The carer in the video, Corey Lyle Lucas, was convicted last month for aggravated assault. ACS doesn’t know if this behaviour is “very unusual”: we lack proof either way. I wish I had put a camera in my mother’s room. Then I would have known for sure how many times she was abandoned in her room with a tray rather than helped to the dining room; I would have known which ‘carer’ persisted in hiding heavily soiled clothing behind clean in her wardrobe.-; and perhaps much worse. Nursing homes always insist your fears are unfounded unless you can produce concrete evidence.